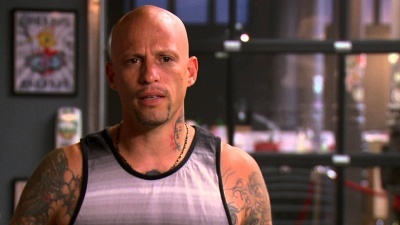 NY Ink follows Ami James as he puts it all on the line to become the Tattoo King of New York. Always looking for his next big challenge, Ami's new shop will be opening up right in the heart of SoHo. A new shop means hiring a whole new crew, and with that, a whole new set of problems. ▼ Episode 5 - Granny Is Inked and Amis Is Angry! More than 100 customers have lined up to see Tim Hendricks but are annoyed after he doesn't show up. Tommy's tattoo skills are put to the test when a octogenarian comes for her first tattoo.